COAI (Cellular Operators Association of India), the apex industry association representing leading telecom, internet, technology and digital services companies, today welcomed Ciena as an associate member. 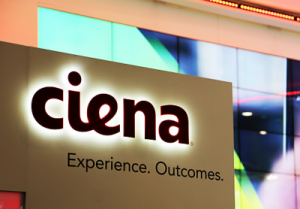 Ciena is one of the leading telecommunications networking equipment, software, and services suppliers, headquartered in Hanover, Maryland, USA. The company started operations in India in 2005, and is a strategic supplier to many network operators in India including many of the country’s top service providers. Further, the company is also a key vendor to many undersea and overland cable consortiums. COAI’s Associate Membership comprises companies that provide applications, manufacture or support the functioning, promotion, research development and evolution of Mobile Communications Services. COAI’s other Associate Members include Accenture, ACT Fibernet, Amazon, Cisco, IBM, Indus Towers, Google India Pvt Ltd, Ericsson India Pvt Ltd, Sterlite Technologies, Huawei Technologies Co. Ltd, Indus Towers Ltd, Nokia Solutions and Networks Pvt Ltd, Qualcomm India Pvt Ltd, ZTE, Facebook India Online Services Pvt Ltd etc.